Someone is clearly proud of her daughter and wants everyone to know it. 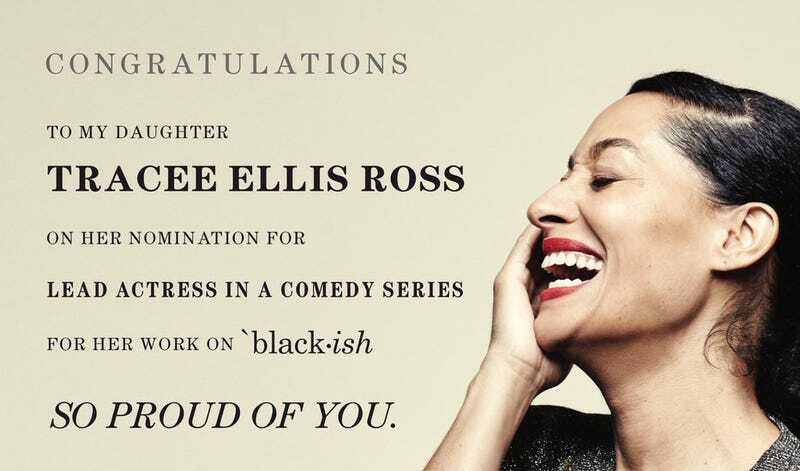 Tracee Ellis Ross was nominated for an Emmy in the category of Lead Actress in a Comedy Series for her role on the hit comedy show Black-ish, and her mama could not be more excited. The legendary Diana Ross gave her daughter a full-page ad in the Hollywood Reporter. Congrats, Tracee! We're proud of you, too.